Show kids how easy it is to be a superhero, saving the planet one action at a time. 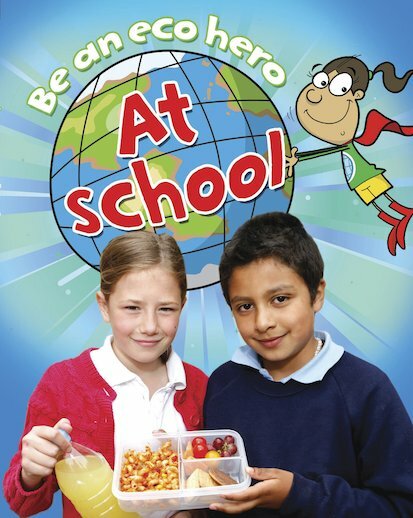 This inspiring fact book explores topics such as pollution, energy and recycling in the familiar environment of a child’s school. Bright spreads ask children to consider questions and then posit solutions. The book also suggests lots of simple green ideas for them to try. They can grow plants on the classroom windowsill, find carbon-neutral ways to travel to school, or make crafts out of recycled cardboard. Young readers will love the cheery illustrations, which combine colour photos with fun cartoons.